Microsoft may be focused on launching Xbox One, but not all of its attention is going toward the all-on-one console as the company also plans to support Xbox 360 through 2016. "If you look at 360 that platform lasted for seven to eight years and it's going to go for another three years," said Xbox Chief Marketing and Strategy Officer Yusuf Mehdi at the Citi Global Technology Conference this week. "We're going to continue to invest in Xbox 360, and the two devices can work in concert. So it's not like the day we ship Xbox One your 360 won't work. We'll continue to support it." It's unclear as to how else Microsoft plans to "support" the Xbox 360, though later in the Q&A session, picked up on by Eurogamer, Mehdi mentioned that more than 100 new games are going to ship for the older system. All of this backs up earlier statements by Microsoft in which it promised to stay committed to Xbox 360 for "years" to come. 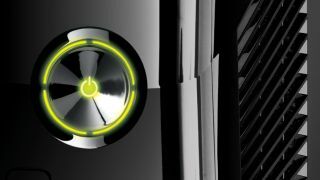 Xbox 360 has a fighting chance to stay relevant when the Xbox One release date rolls around, especially compared to the almost-instantly useless original Xbox machine. First, Xbox One isn't backward compatible with Xbox 360 games. The new system's architecture is just too different, according to Mehdi. Second, features like cross-platform chat won't tie the two device's online services together even though other Xbox Live account information and Xbox Live movies and TV shows will make the generational leap. Third, the install base of Xbox 360 is much larger than that of the original Xbox, which was officially discontinued in 2008. A total of 78.2 million Xbox 360 systems have been sold since Microsoft last updated us with its numbers at the end of June. The original Xbox sat at just 24 million units by the time this current console generation got underway. The question that remains: is there enough reason for gamers to keep both systems plugged in? Microsoft's hints that Xbox One digital games lending, trading could return.